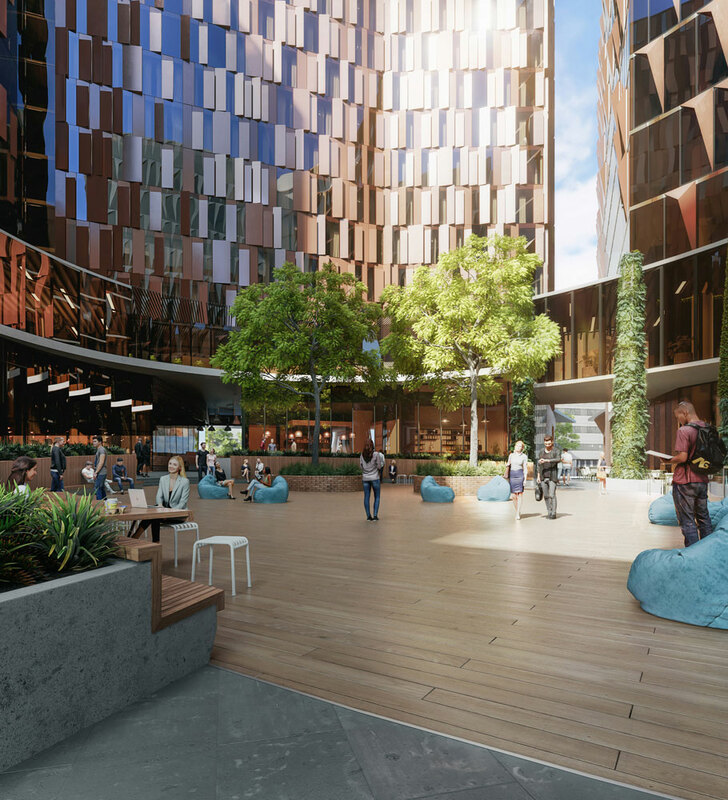 At the forefront of Hayball’s design is the vision for high quality living, learning, social and amenity spaces that provide opportunities for the ‘creative collision’ of people and ideas. Key to the design response is the creation of a rich variety of communal spaces and a hyper-local approach to a connected experience. Hayball’s approach instils the warmth, comfort and inclusivity of a typical Australian residential home, yet with the energy and engagement of living in a premiere academic hub just moments from the broader life and activity of Carlton and Melbourne’s CBD. Driving multidisciplinary partnerships, the Carlton Connect Initiative will position world-class talent with 21st century technologies. 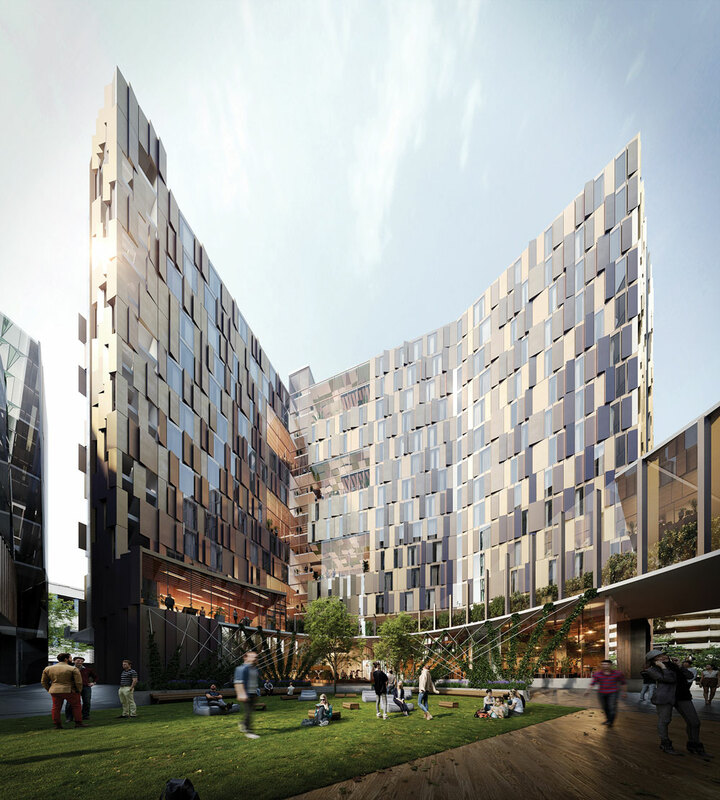 The student accommodation environment will be part of creating a community connected to sharing knowledge and exploring new terrain through collaboration. The Initiative will specifically expand the University’s accommodation offer to postgraduate students and visiting academics, with potential to also cater for undergraduates. The profiles of these cohorts has been a part of the careful consideration given to the apartment mix and the variety and dispersal of communal spaces.